An Elk Grove resident who took to local TV news airing her grievances with the city's code enforcement practices brought her concerns to tonight's Elk Grove City Council. The dust-up began when Denise Brechbill said a city code enforcement employee came to her house in early March and said that the hedges at her residence on Elk Way needed to be trimmed to be in compliance with city standards. At issue was a hedge adjacent to the sidewalk that the city asserted was an American with Disabilities Act violation. During the public comment portion of tonight's meeting, Brechbill told the councilmen that she believes she is being targeted by the code enforcement staff. Brechbill said she inspected other houses within a mile of her east side residence and counted 41 violations. She also noted that she received conflicting information from several code enforcement employees. Faced with a possible fine of $480 and additional legal expenses to appeal, Brechbill compiled with the orders. While attempting to comply, Brechill said she was told the determination of whether she would be in compliance was at the discretion of the code enforcement employee. "I'm a paralegal by training - that bothered me," she said. "Code enforcement is law enforcement. It can't be under someone's discretion; discretion is an opinion." Brechill went on to say that if codes are being enforced, an enforcement officer should be able to tell you if you are in compliance. She also noted some of her neighbors were being hassled for minor infractions. "I feel like I was selectively enforced," Brechill said. "Right now I feel like I was really under attack and there was no way out." Because the comments were made during public comment, the council could not take action although Mayor Gary Davis offered some solace. "I think it would be good to get a report back...on what we found and saw, what we are hearing about code enforcement," Davis said. I believe this whole 'sweep' was politically motivated to help demonstrate "stronger and safer neighborhoods" because the list of accomplishments by one particular candidate is weak and threatens his reelection. Of course it backfired--big time. Now, let's look for a fall guy (or woman) to possibly lose a job over this? It seems some prior public notice should have been given before sending out all the letters. Not doing so is just as bad as not enforcing the governing documents. 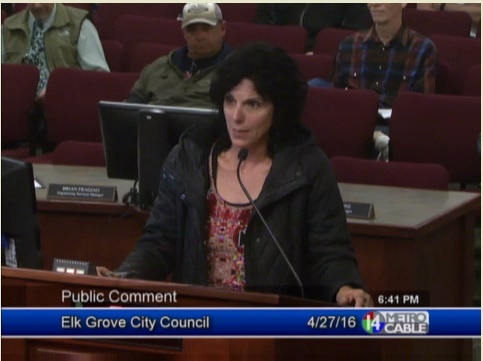 That can dampen community spirit and fosters the negative image that many people have of Elk Grove. It doesn't appear that this violation was dangerous or likely to cause panic in the streets and chaos to ensue--and the owner appears to be a law-abiding citizen. Give them time to fix the problem before throwing the big $$ penalty in the letter. Some of the homeowners are perhaps elderly and would need some family/friends to help. Was the media comment about help being available to those in that situation made in the letters mailed? The pictures I have seen look like the lady mentioned did a beautiful job on pruning...be nice if the city did half as good. The City and Code Enforcement blew this one big time. This was a knee-jerk action before giving the owners a chance to cure--that's a problem? Be courteous in giving people time to correct the problem so they know the first violation isn't the death knell. Code Enforcement by practice, respond to and address complaints. They tell the owner of the nature of the complaint and give them a reasonable amount of time for the owner to get in compliance or a fine will be issued if the complaint is legitimate. There is no incentive for Code Enforcement to target individuals and we pay them so the rest of us can enjoy clean manicured yards. Clean up your yard.